In June, Jewish Family & Child Service will launch the Wise Aging program, based on the book Wise Aging, Living with Joy, Resilience and Spirit. David says participants gain internal and external resources to enhance their aging experience. Through mindfulness and contemplative practices such as text study, journaling, meditation and chanting, participants can explore internal resources. External support comes from small peer groups, where adults 55+ can share the angst of dealing with aging parents, the challenges and rewards of retirement, and the potential for many years of healthy living and learning. In the pilot program he led, David says he was inspired by participants’ comments. “It is comforting to know other people are going through similar circumstances, and it is reassuring to know you are not in the process alone,” he says. The program consists of a facilitated peer group of 10-12 people meeting on a regular basis for about nine session. Facilitators complete training with IJS Wise Aging trainers to prepare to lead groups. JFCS incoming president Larry Holzman, the son of Irwin and Renee Holzman, who founded the family foundation in 1990, says he heard about the Wise Aging program when the JFCS board discussed bringing it to Oregon. Larry pitched the concept to his family foundation and says his mother was incredible as she “asked the right questions and strategized” as she had for so many organizations before. The family agreed it was a great opportunity to reach into the community and help people through this stage of life with a support system. “They can do it better by doing it together,” says Larry. For information on facilitator training or joining a Wise Aging group in June, contact Ruth Scott at 503-226-7079, ext. 113, or RScott@jfcs-portland.org. The silent auction includes art ranging from paintings and drawings to textiles and jewelry. Funds raised will support the TASK/Tikvah disabilities services for children and adults. 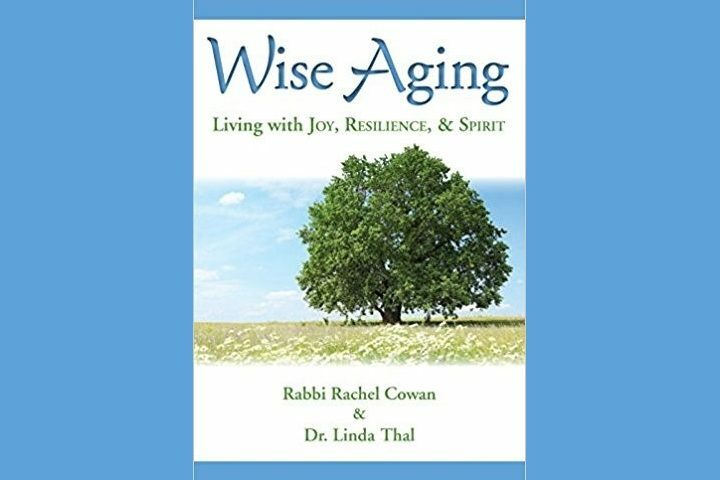 ‘Wise Aging’ with co-author, Linda Thal. Wise Aging provides a guided path for those who want to discover new resources for living their later years with spirit, resilience and wisdom. Some “Words of Wisdom” by Guest of Honor: Rabbi Joshua Stampfer.